The third Lancashire County Lunatic Asylum, Rainhill opened 1st January 1851 simultaneously with the second asylum, Prestwich. Both were part of a program targeted at providing asylum care for pauper lunatics for the fast developing towns and cities of Southern Lancashire, then in the throes of industrialisation. The architect chosen for the scheme was Harvey Lonsdale Elmes whose works had included Thingwall Hall, the Liverpool Collegiate Institution and most significantly the St. George’s Hall and Liverpool Assizes complex on Lime Street, Liverpool. Elmes’ repertoire was ultimately foreshortened by his untimely death in 1847 due to consumption whilst only in his early thirties. Elmes design for what was initially to be known as the West Derby Asylum was substantially altered from that which was actually constructed, with numerous modifications being made before and after his death. The site, near Sutton Heath was open farmland adjacent to Nutgrove Farm and sloped gently to the south, with the main entrance accessed from Mill Lane (later Elton Head Road). To the southwest stood the Sutton Brewery whose site would later be absorbed into the grounds.The main building was solidly constructted from stone with slate roofing. The central block was of three stories, surmounted by a clock tower with the main entrance recessed inside a two storey archway. Accommodation for the superintendent originally formed part of this structure. To either side stood the ward blocks with males to the west and females to the east for a total of 350 inmates. Behind stood the required range of services to support the institution including kitchens, stores, laundry and workshops. 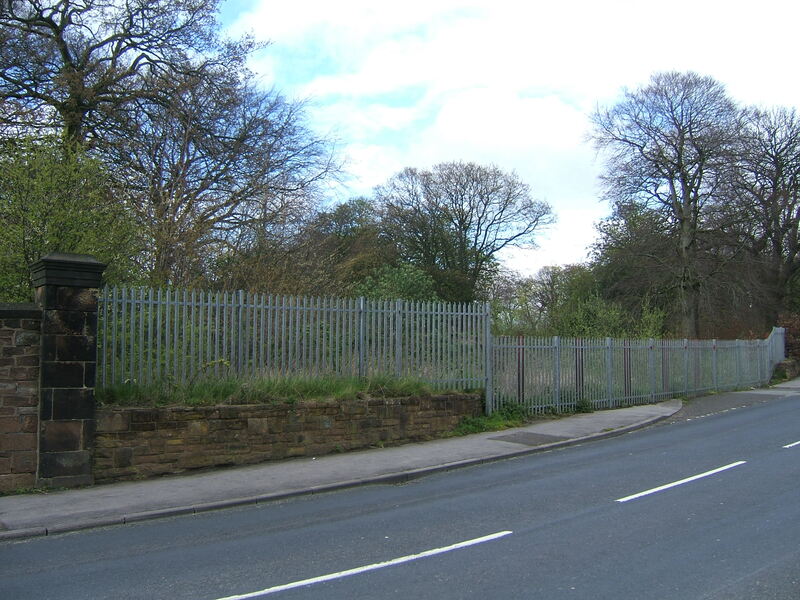 To the north of the asylum, south of Nutgrove Road stood the farm where inmates could be usefully employed to provided food for the institution. Inmates were admitted from a variety of locations, aimed at being concentrated on Liverpool and the surrounding areas of Lancashire but pressure on each of the Lancashire Asylums resulted in admissions of inmates often distant from their ordinary places of residence. Aside from the original county asylum at Lancaster, patients were received to the new building from a variety of sources. These included Poor Law Union Workhouses, Haydock Lodge Private Asylum and the Liverpool Asylum in Brownlow Hill. Haydock Lodge at Ashton in Makerfield, opened around 1843 and one of the largest private madhouses, had recently been at the centre of major scandal regarding significant irregularities in it’s management and was to close (albeit briefly) to paupers soon after the new Lancashire Asylums opened in 1851 – these having made up a significant number of occupants at the asylum. The Liverpool Asylum had been founded as early as 1789 and opened September 1792 on Lime Street, Liverpool as a branch institution of the neighbouring Liverpool Infirmary. and took pauper inmates payable for by their respective parishes. Both institutions were transferred to new buildings off Brownlow Hill in 1831 and the former site was redeyeloped for the aforementioned St. George’s Hall and Assizes. The Asylum at Brownlow Hill would survive until 1881 for private patient’s only after Rainhill and Haydock took most of the Pauper inmates when the site was acquired in part by the London and North Western Railway who were restructuring their approaches to Lime Street Station. The building survived initially and was to become part of the Liverpool University College site, only being demolished during the interwar period. 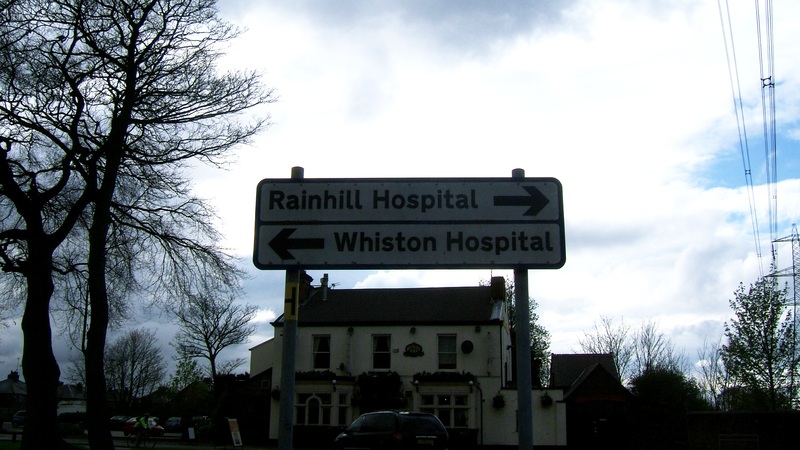 Rainhill was soon pressed for space, as was its’ counterpart at Prestwich. As soon as 1856 further extensions to the designs of Liverpool Architect, H P Horner were being planned and were completed in 1860 comprising additional wings to either side of the main building, bringing the capacity over 500. 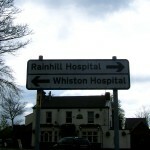 A fourth asylum was added at Whittingham, near Preston which temporarily brought relief to the other Lancashire asylums. Additional extensions were to follow on a piecemeal basis until 1877 when plans were put in place by the Superintendent to virtually double the size of the asylum. 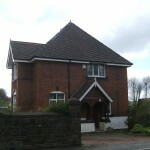 The annexe was built to the north west of the existing complex across Rainhill Road on farmland and consisted of a linear corridor plan complex with the majority of wards facing the open land to the southwest where a reservoir and farm annexe were constructed amongst the fields.The architect was George Enoch Grayson, later co-designer with Edward Ould of an expansion program at the Cheshire County Asylum Upton as well as being responsible for Hamilton Sqaure Railway Station, Birkenhead and Hill Bark house, Frankby. 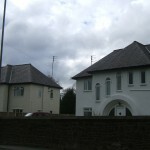 The new building was accessed via a lodge opposite the north lodge §of the main site and a subway was constructed below Rainhill Road to connect the two, appearing on the north side adjacent to the distinctive turreted gate lodge. The annexe building was constructed from brown brick with terracotta dressings in the Queen Anne style popular at the time. Two water towers rose above the complex, providing a landmark for the area for the next hundred years. The complex was also to include workshops for male patients and a new laundry for females. A detached mortuary building was located in the landscaped grounds to the north. The building was opened for 1,000 chronic inmates in april 1887 making it the last of Lancashire’s four county asylums to complete an annexe project. 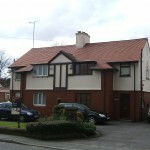 Around the turn of the century a series of new buildings, predominantly designed in a mock tudor style were added to the site with a cricket pavilion and oval cricket field and a terrace of three cottages added on the annexe side and a detached physicians residence adjacent to the north lodge on the main site. A Roman Catholic Chapel was provided close to the annexe’s main gate at this time, complementing the Church of England Chapel already southeast of the main building. This had become necessary due to the levels of Irish Catholics present in the asylum who formed a significant proportion of the Liverpool population. An isolation hospital was built between 1893-5 west of the north gate on the main site for infectious inmates and a nurse’s home added to the main building in 1896. 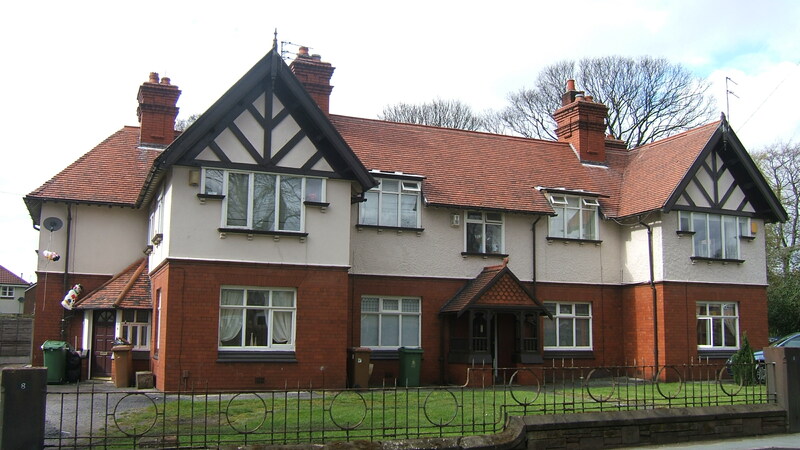 An additional 200 beds were added to the annexe building, becoming ready for occupation in 1898, with a further female detached block added in the next decade. 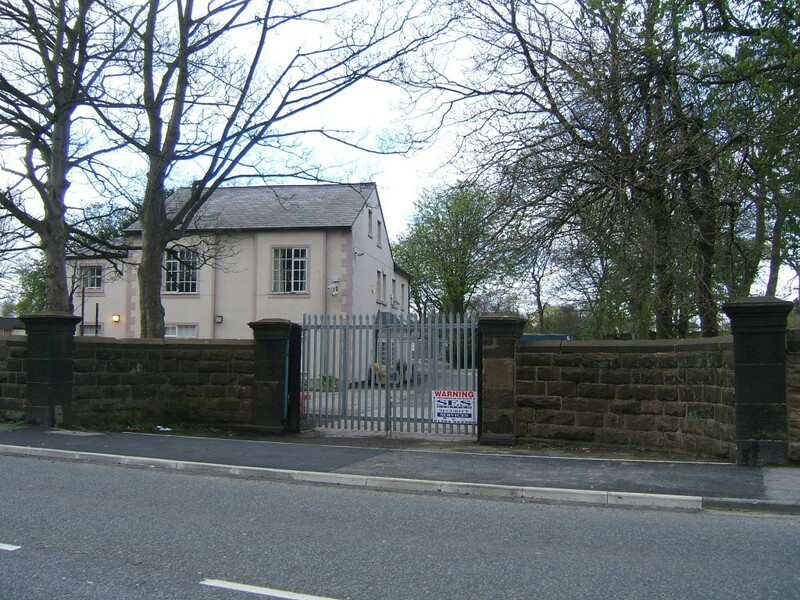 The early years of the twentieth century were to see the opening of the county’s fifth asylum at Winiwck, near Warrington located approximately midway between Rainhill and Prestwich and the construction of the sixth Lancashire asylum near Clitheroe, although the Great War and reforms to mental deficiency legislation prevented the latter from ever being opened for its intended purpose. 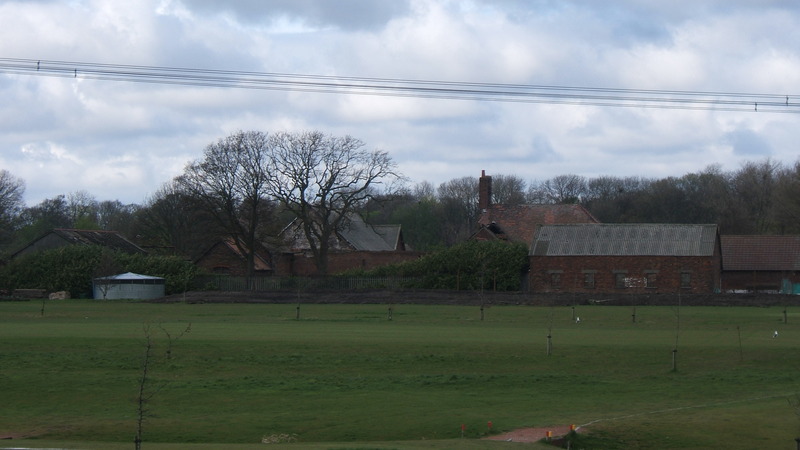 At this time Rainhill regularly held over 2,000 inmates. 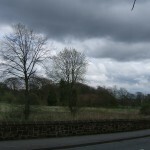 Inmates from Winwick were redistributed around the Lancashire Asylums and further afield to allow the site to be transferred to the military as the Lord Derby War Hospital. whilst Whalley, in its unused state became the Queen Mary’s Military Hospital. The lack of capacity combined with attendants being called up to serve in the military meant gross overcrowding at the remaining four asylums, not relaxed fully until peacetime meant the return of Winiwck and its patient’s. The Lancashire Asylums Board continued to manage the Lancashire institutions after the Great War under its new identity as the Lancashire Mental Hospitals Board as its remit was extended to include mental deficiency institutions. 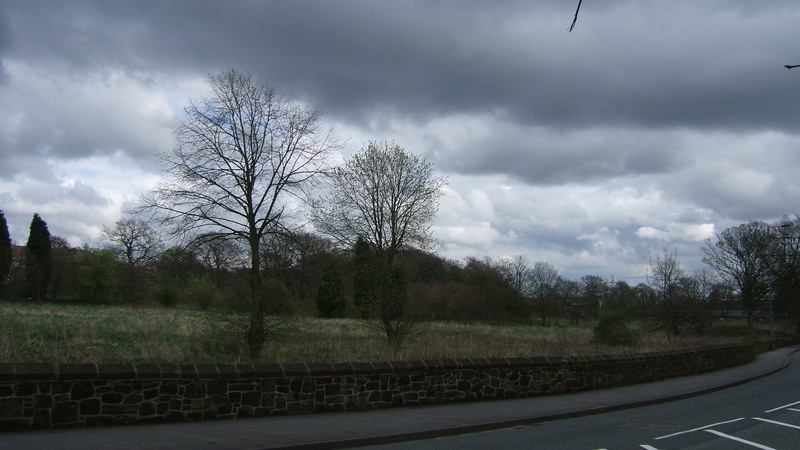 Along with the Whalley Asylum which had become the Calderstones Institution, the LMHB also took on the management of the Brockhall Institution in nearby Langho from its role as an inebriate reformatory and subsequently the Seafield House institution in Seaforth from West Derby Poor Law Union on its abolition in 1930. Seafield House was subsequently abandoned and replaced by Greaves Hall in 1939 with the prospect of war and the vulnerable position it occupied close to the Seaforth Docks. At Rainhill the asylum became termed as a mental hospital in line with national recommendations in order to alter the public perception of such places as curative rather than custodial institutions. Two villas either side of the main building were erected along with a senior staff residence close to the main approach drive. 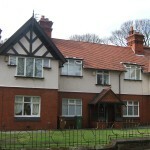 Other staff houses were constructed in batches along Nutgrove Road’s west side, south of the annexe lodge. During the 1930’s building work was accelerated with construction of Reeve Hall behind the main buildings on a site originally occupied by a cricket pitch. This allowed the main services in this area to be reconfigured with the kitchens being transferred into the old recreation hall. These changes had become essential as the hospital’s population had now increased to over 3,000 patients. A new admission and treatment hospital was constructed to the south of the annexe cricket field, adjacent to and accessible from Nutgrove Road allowed patients to be admitted and undergo treatment and convalescence without ever having to enter the wards of the annexe or main building. World War II saw the requisitioning of this building for War use and it was not returned until 1947, shortly before the LMHB ceased to exist. The inauguration of the National Health Service in 1948 saw Rainhill and it’s fellow LMHB institutions transfer to new management. Once again terminology was soon changed and the term mental was dropped from the hospital’s title. During the 1950’s the mentally ill patient populations were at their highest with the Lancashire Institutions typically highest amongst those of the whole country. This had been inevitable as the LAB and its successor the LMHB had concentrated on the creation of (sometimes multiple) annexes at each site instead of capping populations and concentrating on building separate complexes on new sites. Most Lancashire mental hospitals at their largest held between 3,000 – 4,000 patients each, predominantly long stay ‘residents’ in this period, but this number crested around 1954 and gradually began to fall with the introduction of Neuroleptic medications and a focus on resocialisation programmes which continued through the 1960’s and 70’s. 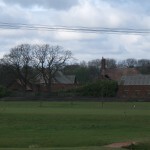 The hospital farm and its associated activities had been disposed of from 1956 when the Ministry of Health issued instructions that such activities were no longer appropriate. New therapies and treatments tended to be concentrated at the admission hospital, subsequently named the Benedict Clinic after a former Superintendent. This was supplemented with the creation of a sub-regional unit for alcoholism which became the Windsor Clinic within the same complex of buildings. 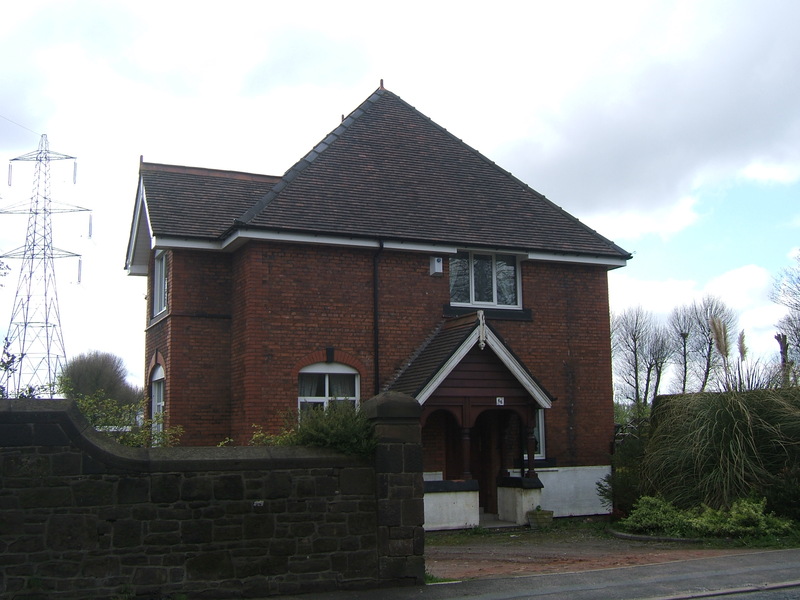 A medium secure unit, predominantly set up to provide accommodation for mentally ill offenders or individuals posing a significant risk to themselves, but not requiring high level secure facilities at Rampton, Moss Side or Broadmoor. 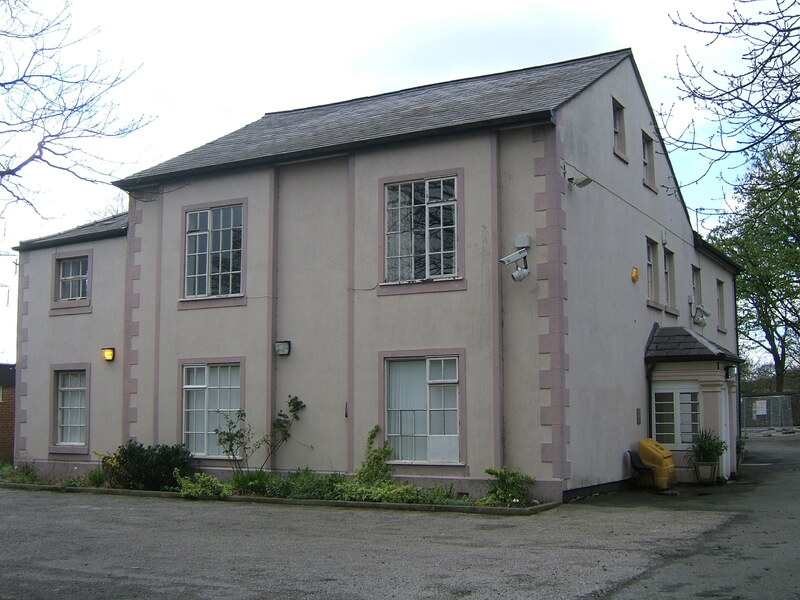 Initially this was housed on Rainford ward but moved to purpose built accommodation in 1983, close to the Martlew Day Hospital at the junction of Nutgrove and Elton Head Roads at the site of the erstwhile Sutton Brewery which had closed in 1870, and named the Scott Clinic. As numbers had steadily dropped and efforts had been made to reduce new long stay patients over the previous decades, discharges and deaths amongst the hospital population gradually brought numbers back below 1,000 for the first time in over a century. Wards were combined and new mental health units developed at district general hospitals in the catchment area. The Avon Division, as the annexe had become under NHS management, was first to be closed in 1987, having held the major concentration of long stay chronic patients. The building was demolished after standing empty for a couple of years. 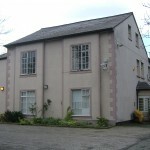 The Sherdley Division, originally the main building, remianed in use until June 1992 when it was also vacated. Long stay patients not transferred into the community were instead transferred to Newsham Park Hospital, Liverpool. The acute patients at the benedict clinic and Sherdley Division were transferred to the new Sherdley unit at Whiston Hospital. 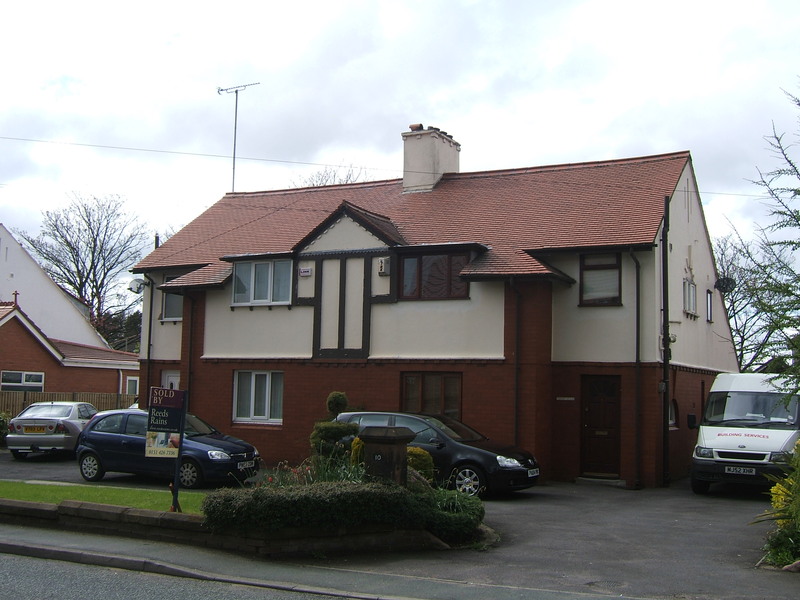 The Windsor clinic relocated to Fazakerley Hospital, Aintree, leaving only the Scott clinic on the hospital site. After closure of the hospital site in June 1992, the Sherdley division survived for two years as the main building had been listed Grade II in 1985. Increasing vandalism and arson within the complex combined with a planning application by Pilkington Glass for a new headquarters on the site were sufficient to provide consent for demolition of the building which took place in 1994. Much of the material from the building including the stone, slate roofing and floor boards were salvaged and sold. The Pilkington offices were never constructed and instead the Sherdley site was developed for housing including a large retirement complex. 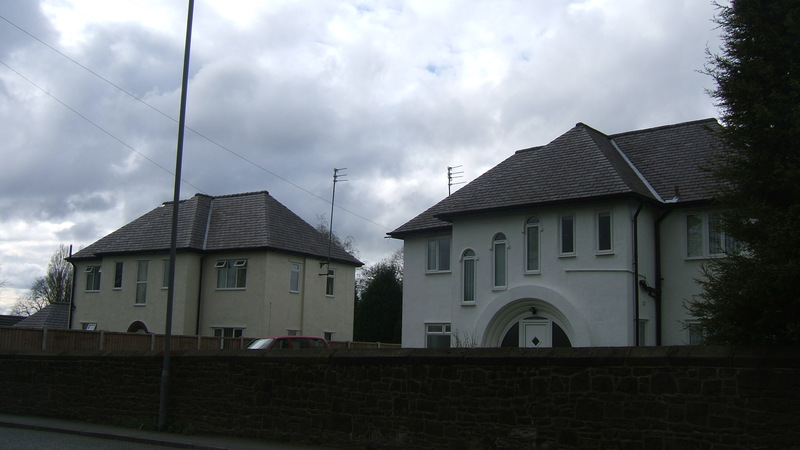 The Avon division site and Benedict clinic were also redeveloped for housing developments and outlying buildings such as the Roman Catholic Chapel which were intended to be retained were also demolished. Of the surviving structures of the hospital the assistant medical officers residence, the Scott Clinic, staff housing on Nutgrove Road and the site of the main entrance on Elton Head Road survive. 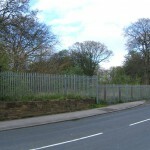 The former driveway to the main building survives amidst undergrowth but now leads nowhere and is blocked from the south by palisade fencing.